COMEDY ON THE GREENS AT Disney’s Palm Golf Course! 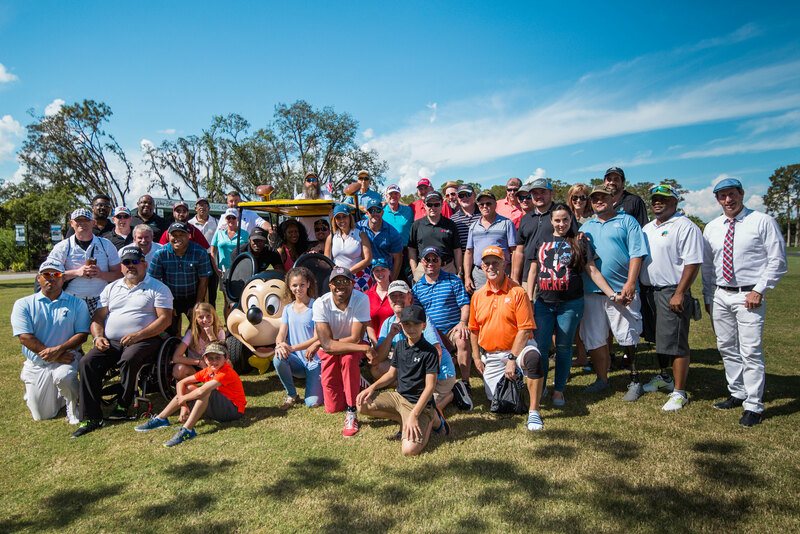 Laughs for the Troops is excited to be back in Orlando for a second Comedy on the Greens golf tournament at the beautiful Disney’s Palm Golf Course on Saturday, Sept. 22. You don’t want to miss this premier charity golf tournament and your opportunity to play golf with real American Heroes, or sponsor an individual Veteran or a team of Veterans! The tournament format is a shotgun start with a field of 144 golfers — sign up with a team, as an individual or sponsor a Veteran. Following golf, enjoy a delicious luncheon where veterans, players, sponsors, and celebrities relax, network, and enjoy the beautiful Florida scenery. Come enjoy the Florida sunshine — both individual players and teams are welcome! LFTT guests also receive a special weekend rate at Shades of Green by using Laughs2018 when booking their rooms. Time: Check-in starts at 7 a.m.
Once you click through, you can choose whether you want to register as an individual or sponsor a Veteran, or if you’re playing with a team or sponsoring a team of Veterans. Thank you in advance for your support! Laughs for the Troops is excited to offer sponsorship opportunities for the Orlando Comedy on the Greens tournament! For more information on these great packages, click the Become A Sponsor button, contact us at info@laughsforthetroops.org, or call 813.280.5454. A team member will answer your inquiry as soon as possible!